This statistic shows the population of Spain in 2018, by nationality. As of January 2018, out of the 46.6 million residents of Spain, approximately 4.5 million individuals were foreign nationals. 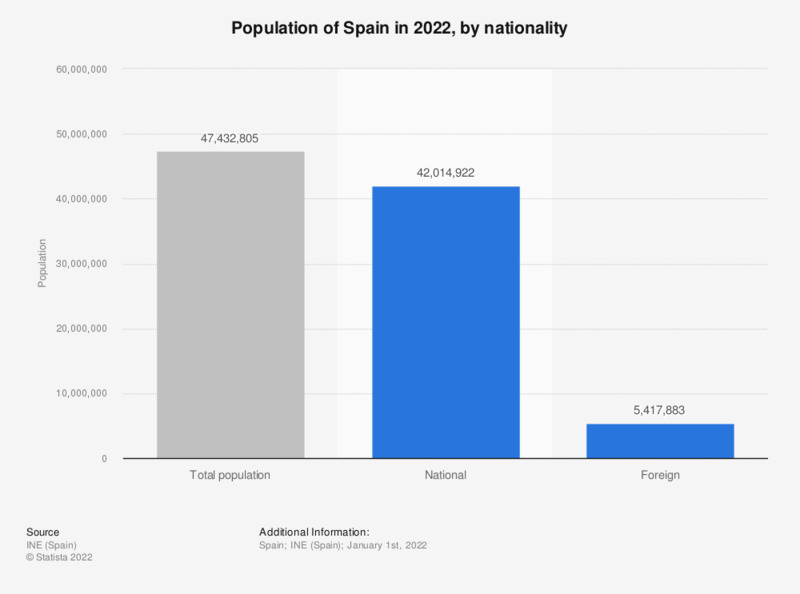 Spanish-born residents accounted for 42.02 million in 2018, figure which has been gradually growing as opposed to the foreign-born population, which has been dwindling.